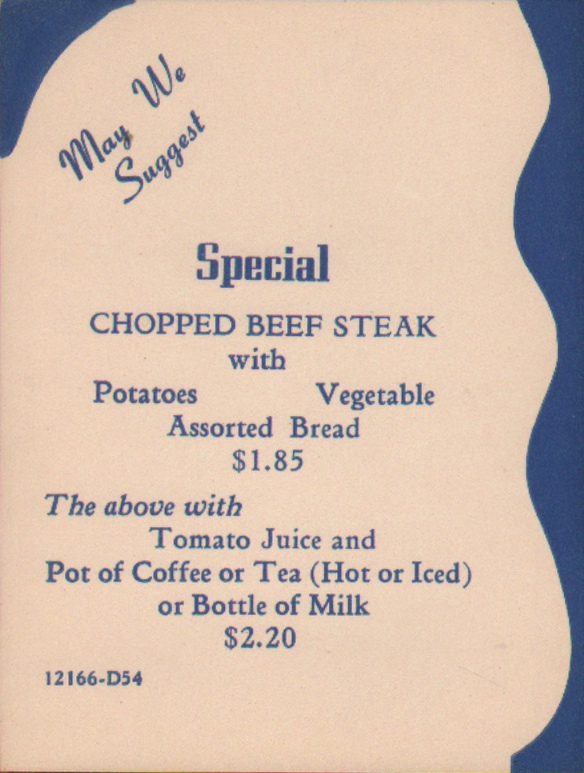 Description Pullman insert (called a rider by Pullman) advertising a Special: May We Suggest - Chopped Beef Steak, with Potatoes, Vegetable, Assorted Bread $1.85. The above with Tomato Juice and Pot of Coffee or Tea (Hot or Cold) or Bottle of Milk, $2.20. 12116-D54. 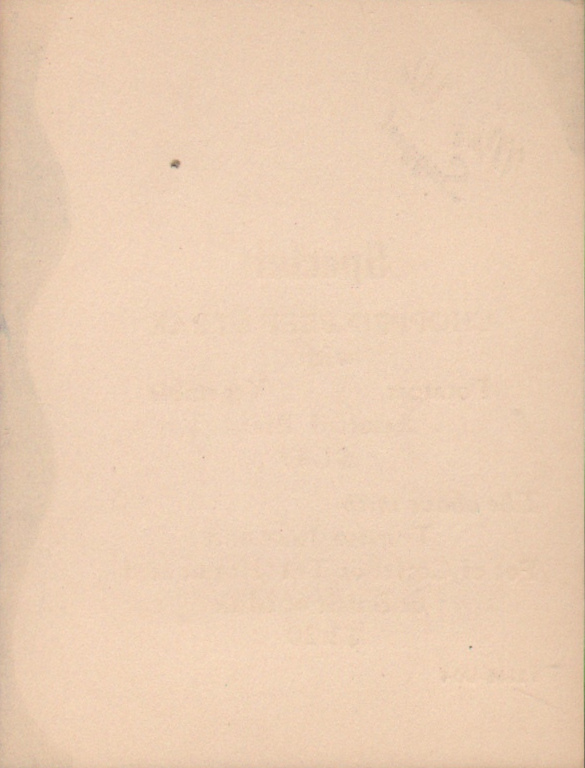 This rider was purchased as part of a large group of Pullman inserts and was not attached to a specific menu.